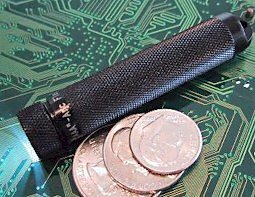 In a special cooperation with our friends at Arc Flashlight, Technology Associates is able to offer you this fine keyring flashlight at a discount at this time. 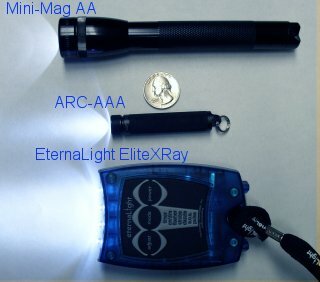 We like the Arc Flashlight, we feel it is the type of product and quality which is compatible with our standards. 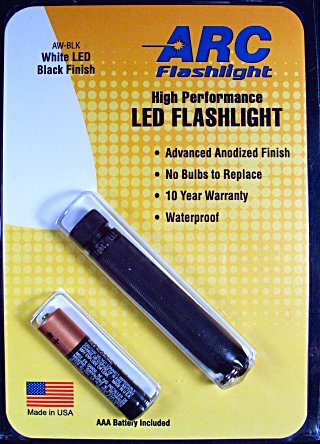 These Arc flashlights utilize the power and efficiency of the Nichia B2S rank LEDs. We carry them on our own keyrings as well. After all, we don't always have an eternaLight in our pockets at every moment. We're sure if you like the eternaLight that you'll find this light an excellent product and value as well.